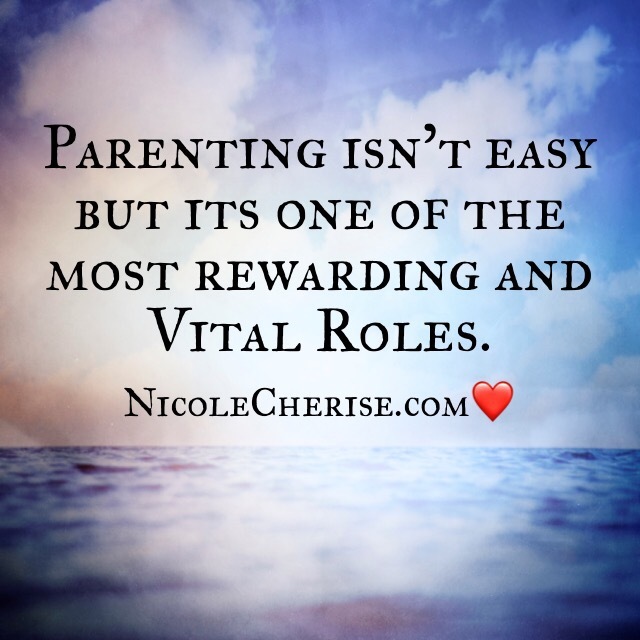 Many parents don’t realize how vital their role is in their child(s) life. Being a parent is hard work, however, these little people are worth it. As parents, we have to teach, nourish and protect our little ones. The world is huge and mean, we have to help them be decent civilians. As a parent, we should speak Life, Health, and Success over our children. As we know, people will do their best to tear us down, so giving our children great esteem boosters will help them in those situations. My son is the blessing that prayed for. My son has taught me how to be a mother and he’s also taught me things about myself and husband. Days like today, when I’m not feeling well, seeing him smile and cheer when I enter the room, makes my heart skip a beat. Yes, I get overwhelmed. Yes the “terrible twos” are terrible. Yes, I constantly worry about his safety and well being. Yes, I’m constantly thinking “what am I doing? Or “am I a good mother?” Yes, everyday is a new day and adventure. Yes, he’s taught me to not compare children and that no two babies are alike. He has made me realize, the special privilege that I have of being his mother. Parenting. Definitely hard work and can be stressful, but it’s worth it!